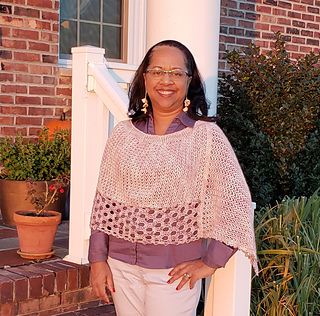 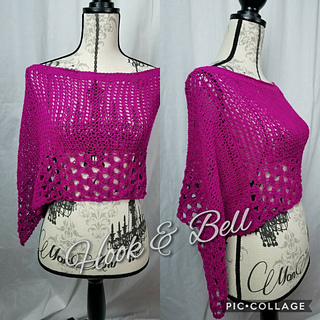 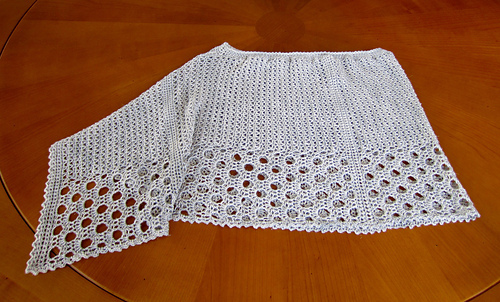 Kelley’s Ponchito is a light and lacy poncho crocheted from side to side as a single rectangle and then seamed to create the poncho shape. 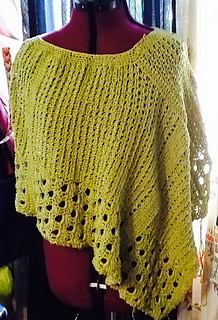 The neck opening is crocheted last. 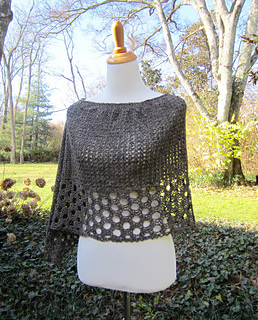 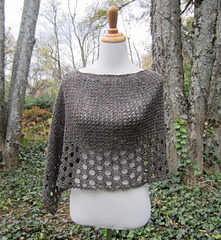 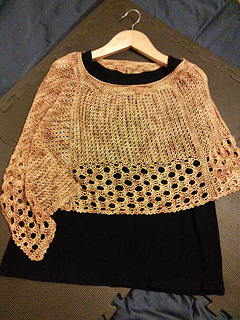 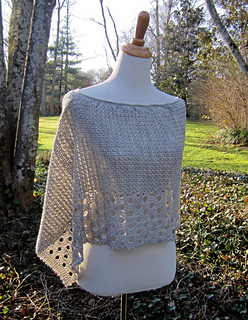 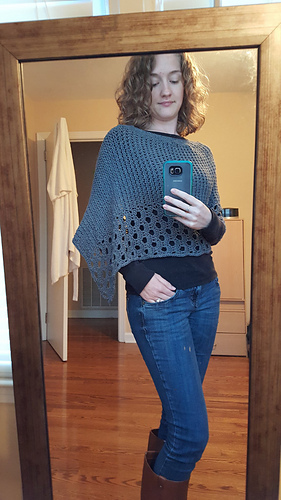 Kelley’s Ponchito offers a change from the usual wrap and shawl shapes. 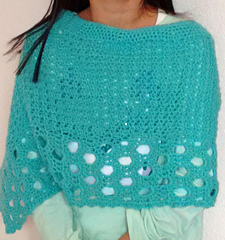 However, the design can be crocheted and worn as a rectangular wrap, as well. 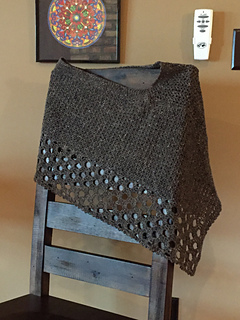 Dimensions: The completed and blocked piece is 31 in. 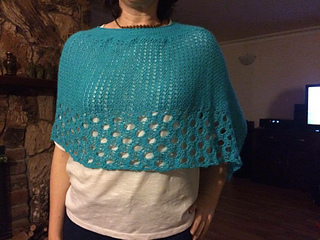 (78 cm) around the top of the neck and 25 in. 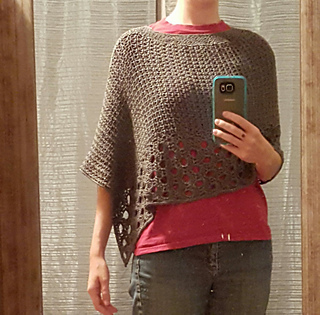 (63 cm) from the top to the poncho point. 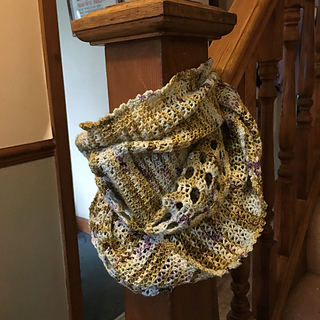 The following stitches were used: chain; double crochet; extended single crochet; foundation single crochet; single crochet; slip stitch. 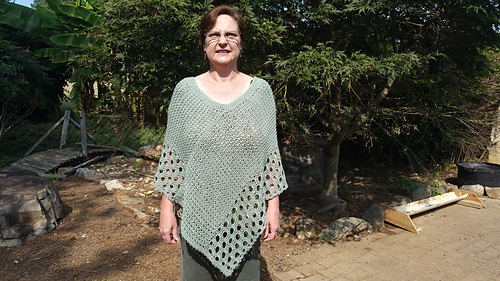 The pattern pdf includes 6 photos and a schematic to aid you in creating the poncho shape. 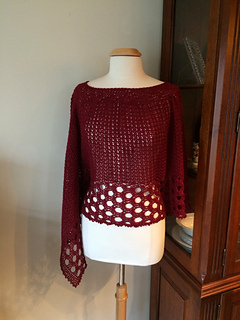 I am currently working on a large version of this design. 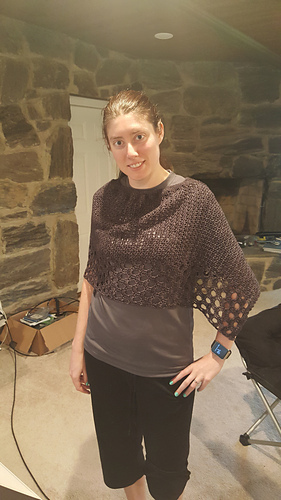 I would like to thank my wonderful testers--alivaz, wedewschool, sunmoonstars75, and rejectranch. 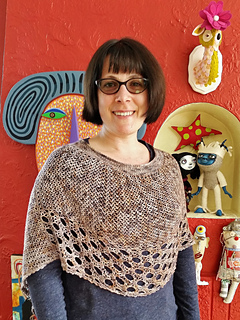 And, by the way, wedewschool is my friend, Kelley! 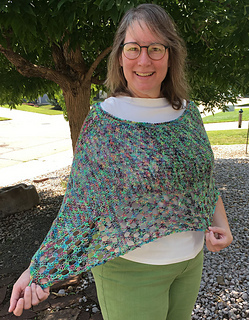 We have fun working together at our local LYS. 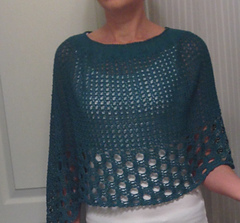 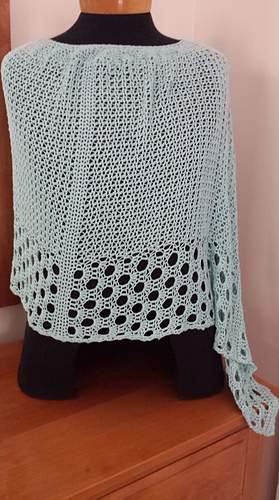 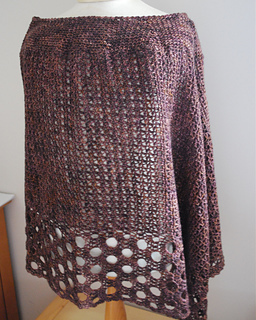 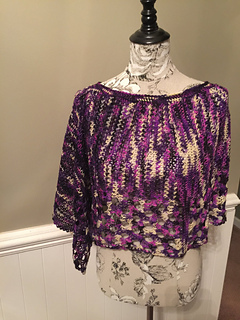 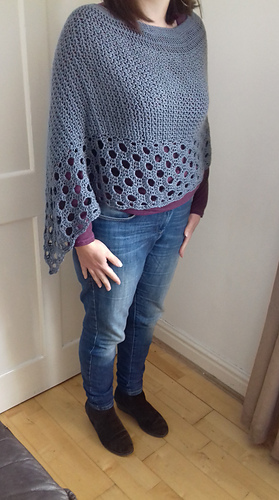 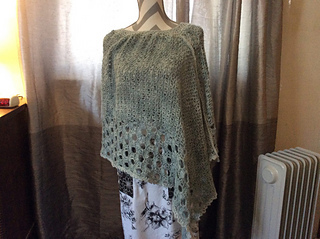 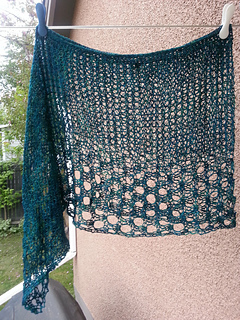 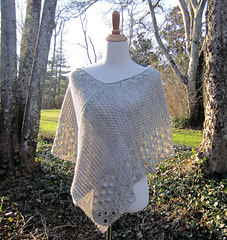 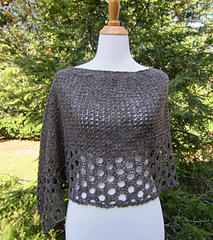 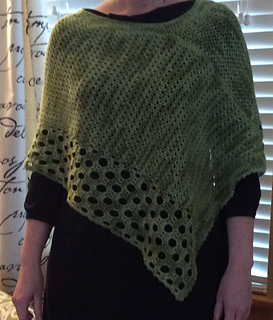 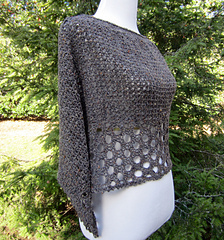 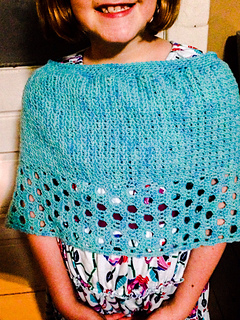 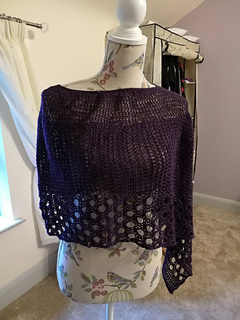 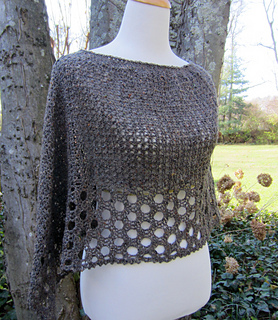 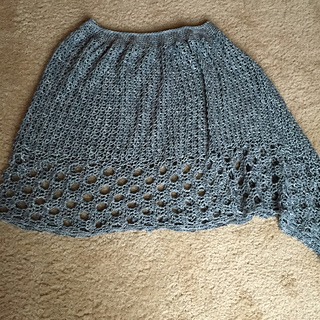 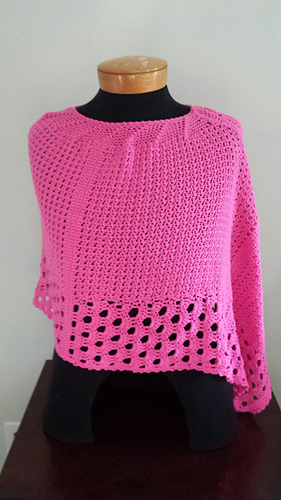 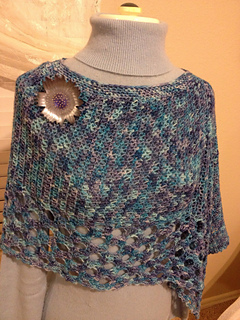 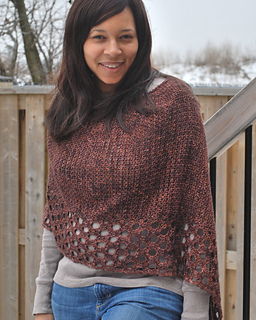 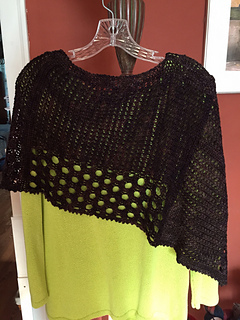 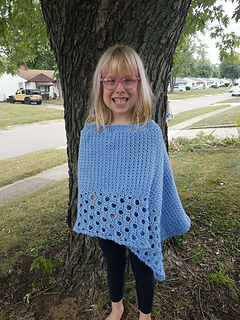 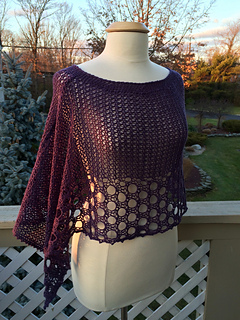 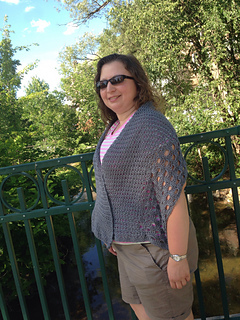 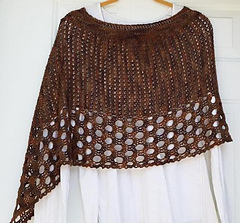 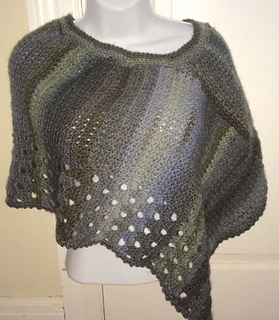 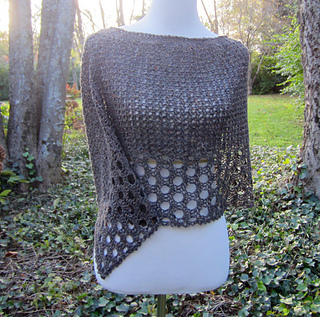 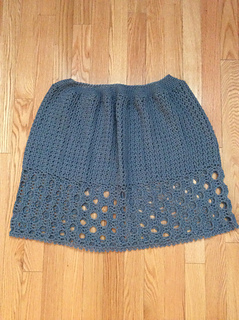 June 2015: Kelley’s Ponchito is the pattern for a Crochet Shoulder Wrappers CAL !